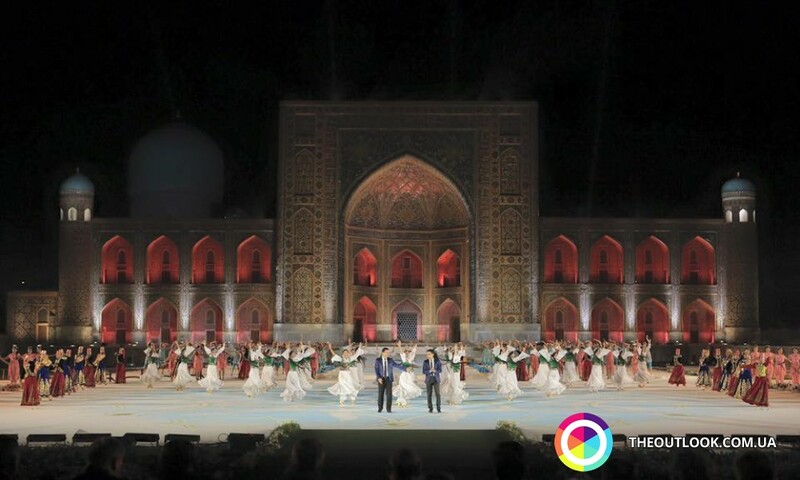 This epic event that provides for preservation and development of both music and singing art traditions of peoples of the world and for association of nations, takes place in Uzbekistan biannually with the support of the President of the state Islam Karimov, UNESCO as well as Ministry for Culture and Sports of the republic, National Television and Radio Company, Union of Composers and Khokimiyat of Samarqand Region. Within the framework of their performance during the festival Veseli Muzyky presented truly colorful and dynamic show. Nearly every member of the band had a chance to demonstrate technique of a virtuoso during solo pieces. Performance of the band was based on non-stop principle: dancing routines and solo instrumentals followed songs thus keeping the audience attentive every instant. And although parts of every musician are very rich music-wise, Veseli Muzyky tend to greater and greater theatricalization of a music show. It is probably thanks to this that the band and the audience had a very strong connection from the very first moments of the concert. 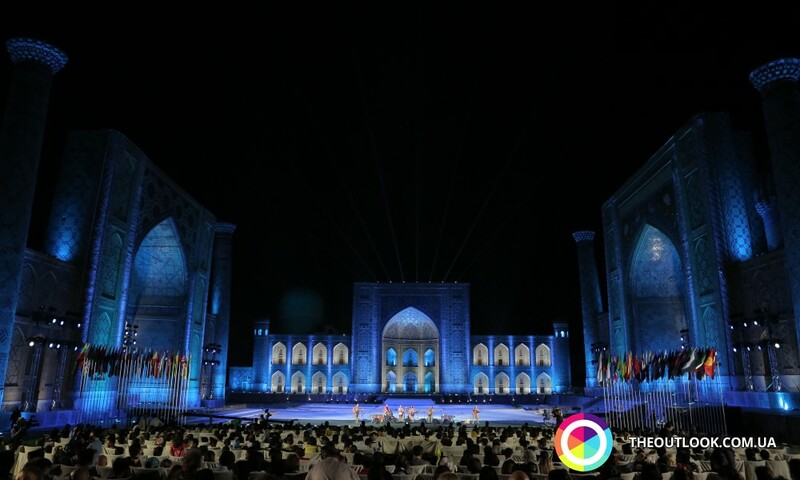 Traditionally, performances of talents (they took place in historic part of Samarqand – on Registan Square) were evaluated by reputable jury: lead music scholars, art directors and directors of international festivals. Grand Prix in the amount of 10 thousand dollars was established for the winners. Holders of three winning places (two leaders each) got seven, five and three thousand dollars. Moreover, participants of the festival held concert shows in a number of off-site stages in Samarqand’s parks of culture and rest as well as in suburbs of the region. And every willing one was able not only to enjoy music but also became familiar with global traditions by attending exhibitions of national music instruments, craftsmanship products and historic outfits, meet-the-artist events and communication with participants. Our team, being a guest of this amazing fest, would like to emphasize on high organizational level of every event of the festival as well as rich sightseeing program. Every day of the contest was concluded with friendly singing battles and virtuosic performances of musical improvisations by artists from different countries already outside stage at Registan Square. Within the framework of the festival traditional international science-and-theory conference took place. Topic of this year’s conference was “Commonness of Music Culture of Peoples of the East”. Scientists from 15 countries – music scholars, critics and theorists – came to participate in it and discuss the issue of preservation and development of many-centuries-old music traditions of peoples of the world. Unique place, where the festival was held – Registan Square – deserves special attention. It is a part of great architecture ensemble of Eastern Middle Ages in Samarqand – the city that, for its beauty and magnificence of palatial architecture, was called a Pearl of the East by travelers as far back as in ancient times of the Great Silk Road. Being a capital of a great Medieval empire of a famous conqueror Tamerlane, Samarqand gathered best minds and talents of those times: scientists, men of art, architects, poets and each of them glorified the legendary city in own way. 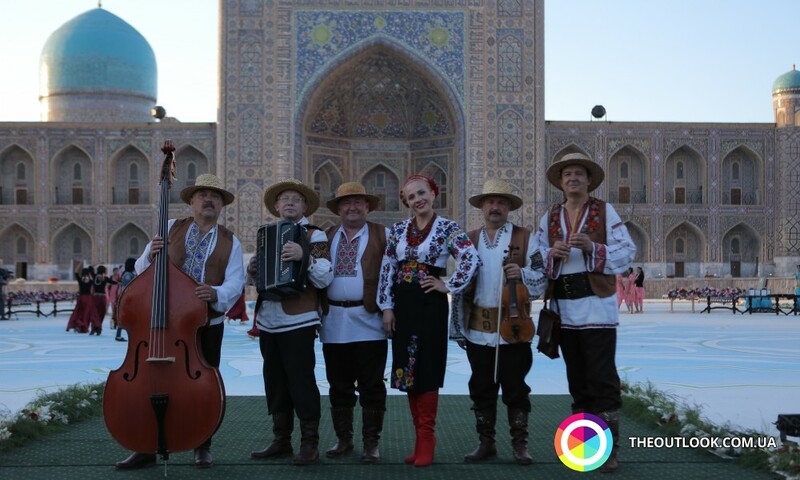 On historic Registan Square, surrounded by magnificent monuments of Eastern architecture on every side, a huge open-air stage with fantastic lighting and acoustics was erected – there talented creative groups from every nook of the world performed. Also, for every guest of the fest unique large-scale 3D-show was created that demonstrated all milestones of Uzbekistan’s history. First Sharq Talonalari took place in 1997 with music bands and performers from 31 countries participating in it; this number grew each year and all in all by now singers and musicians, performance bands and ensembles and music scholars from over ninety states of the world have participated in it. Nowadays the festival is one of the most popular and famous music events not only in Central Asia but far outside its boundaries. Evidence of the fact is that year by year not only number and artistic level of contestants advance, but also geography of participating states broadens. Its making it to the list of UNESCO international culture events testifies to great political and spiritual value of the festival. This kind of large-scale event not only honors any state but also make for a huge responsibility before global community! Dear readers, expect a colorful video about what was going on in Samarqand any time soon!